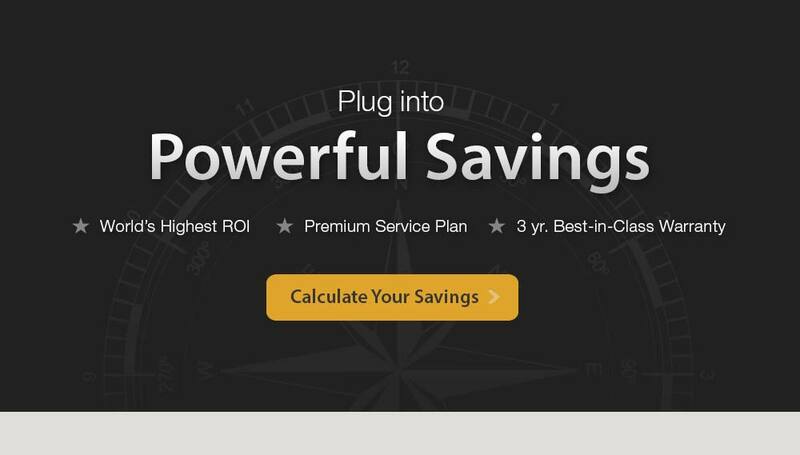 Like saving money? 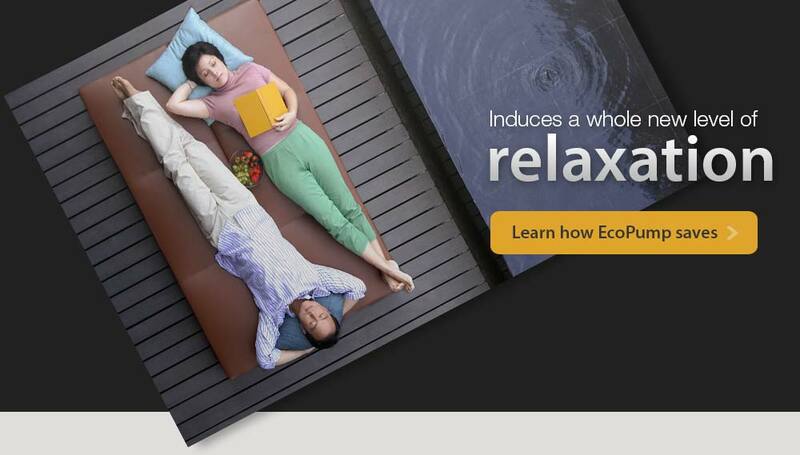 Then you’ll love EcoPump - a whole new kind of energy efficient pool pump. Most inground pool pumps run on 2 kW of energy. EcoPump runs on just 1/3 kW. 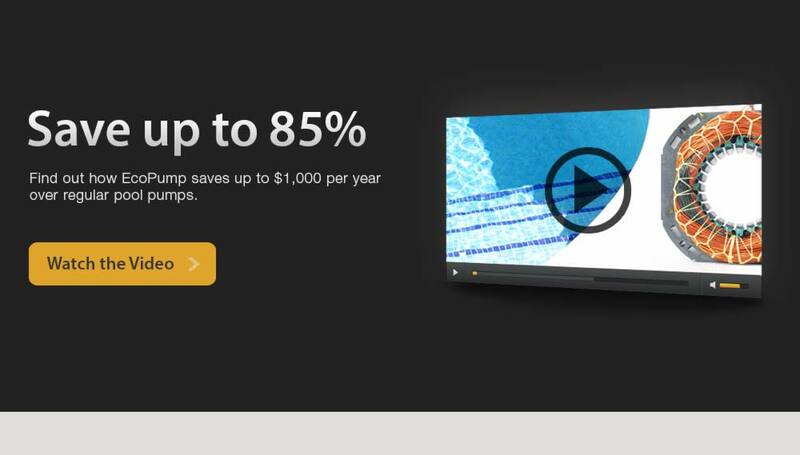 The result is a savings up to $1,000 per year and the highest ROI of any pool pump. 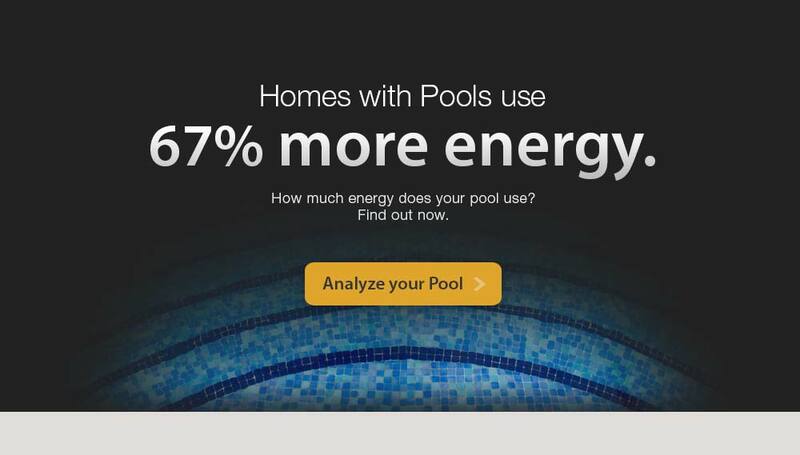 Find out how much energy your pool is using now and how much you’ll save with EcoPump. Find the best places to get EcoPump. Both online and in your neighborhood. Read reviews from actual EcoPump owners. Find out how EcoPump changes everything about pumps. See the results of the energy efficient EcoPump for yourself. Try EcoPump on your own pool for 30 days. If you’re not 100% satsfied, simply return it. We bet you’ll find that investing in a new pool pump is the single easiest way to cut your home’s energy use. 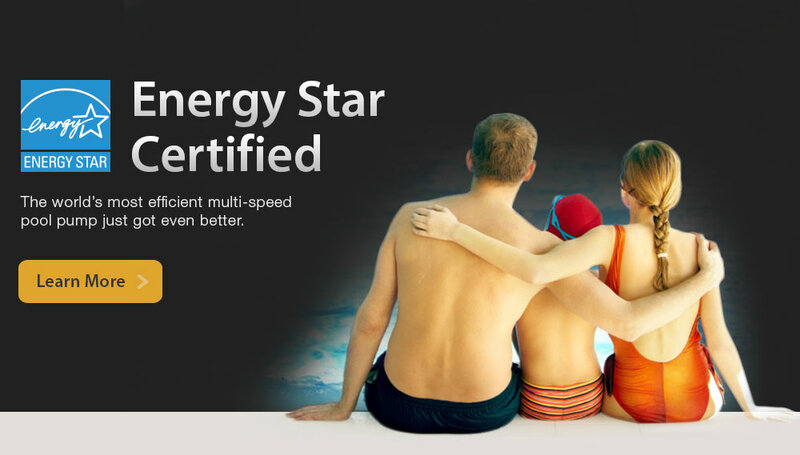 EcoPump is the pinnacle of energy efficient pool pumps. You’ll save up to 90% over traditional pool pumps and improve water quality with longer filtration. EcoPump represents a giant leap forward in pool pumps efficiency. Engineered for reliability, the most common pump failure points have been completely eliminated. Moving water is healthy water. Stagnant water is a breeding ground for bacteria and algae. Longer filtration cycles improve water quality & reduce chemical use. Welcome to EcoPump, manufacturer of revolutionary energy efficient pool pumps. We’re going to start by answering the questions that everyone wants to know, just how efficient is EcoPump and how much does it cost?EcoPump is the one and only pump on the market that breaks the ¼ kW barrier for energy efficiency and starts at less than $759. No other pump on the market can make that claim. Period. Nobody paid much attention to pool pump efficiency until recently. Then we got the numbers. Pool owners in the US spend about $1.5 billion per year to operate swimming pool systems. To put this in perspective, it takes 24 medium sized power plants to power the systems that keep our pools sparkling. The resulting emissions are equivalent to 1.3 million cars. It’s no wonder that states are enacting pool legislation at record pace. California, Arizona, Florida and soon to be Texas have laws that require energy efficient pool pumps. EcoPump is made technically possibly by EcoBoost, a core energy saving technology that optimizes the efficiency of electric motors found in swimming pool pumps. EcoBoost is an advanced phase-shifting technology that briefly stores electrons in condensors. When the motor rotates into the optimal position, the stored energy is released, boosting the energy transferred to the impeller. EcoBoost smoothes the motor’s power output during each 360 degree revolution. The result is smooth-running performance, ultra-efficiency, cooler temperature and longer life. 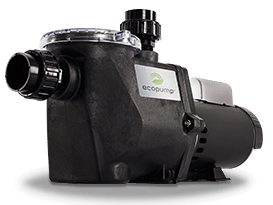 EcoPump's proprietary technology goes into every EcoPump, including our ¾ HP, 1 HP, 1.5 HP and 2 HP pumps. EcoPump engineers weren’t satisfied with just creating the most energy efficient pool pump. The common failure points on pool pumps have been eliminated, allowing EcoPump to work without service for years after traditional pumps have failed. Lower operating temperature and reduced rotation decreases stress on the entire mechanical system. A lot of pool pumps claim to be energy efficient, but their numbers often tell a different story. We sometimes find out that energy efficient pool pumps actually burn 1500 to 2,000 watts of power. EcoPump runs on as little as 230 watts. The good news is that anyone can look up the numbers on any motor and determine its efficiency. We simply look at the pump's amp draw. The amps multiplied by the voltage divided by 1,000 gives us the kW usage. Make this calculation for EcoPump, and you’ll see why EcoPump holds the title of world’s most cost efficient swimming pool pump. EcoPump has no sensitive onboard electronics. EcoPump does have a 3 year warranty to protect your investment. Some energy efficient pool pumps have sensitive electronics mounted right on top of the motor. But does this make sense? The motor is where the heat, moisture and vibration is. It’s no wonder that these pumps have short warranties of one year. Pool owners are often in for surprise when they find out the cost to replace those electronics is over $700, almost as much as a new pump. The last thing you want is to invest in an energy efficient pool pump that’s not going to hold up. EcoPump is one of the only pumps on the market to include a 3 yr warranty standard. That’s not an upgrade or an extended warranty. It’s standard with every pump that we sell. And it’s not just any warranty, it includes a Premium Service Plan. Some pool pump manufacturers will have XYZ company attempt field repairs. And sometimes this works fine. But other times, you end up with endless delays as you wait on scheduling and parts. 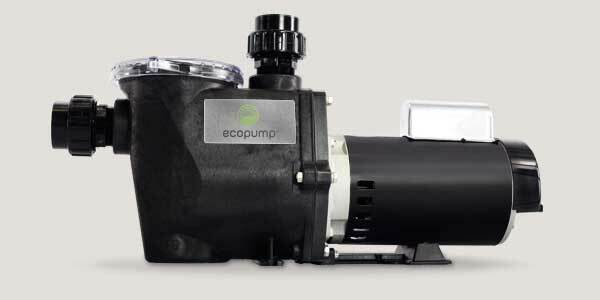 EcoPump is the first pump manufacturer to offer Advance Replacement. With a small deposit, we’ll send you a replacement pump out within a few hours of your call. If the rare event of a failure, we can have you back up and running in as little as 48 hours. Energy efficient pool pump upgrades beat HVAC and all other appliance upgrades. For homes with pools, the swimming pool pump is the single easiest way to drastically and immediately reduce home’s energy use. The pool pump is second to only a home’s HVAC system in power consumption. In fact, a traditional pool pump commonly uses more power than all other appliances combined minus the HVAC. If you’re contemplating energy efficient upgrades, energy efficient pool pumps should be at the top of your list.